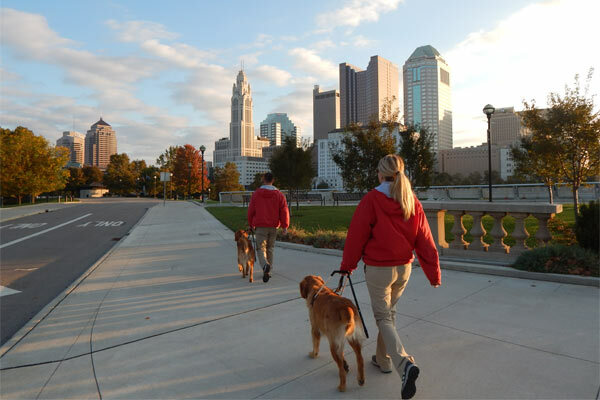 Pilot Dogs are available to legally blind individuals who would benefit from such dogs. A sightless person who is physically and mentally capable of receiving benefit from the Pilot Dog may apply. Pilot Dogs is supported entirely by public contributions. There is no federal, state or city aid. Pilot Dogs, Inc. has been officially recognized by the U.S. Treasury Department as a 501(c)3 tax-deductible charity. 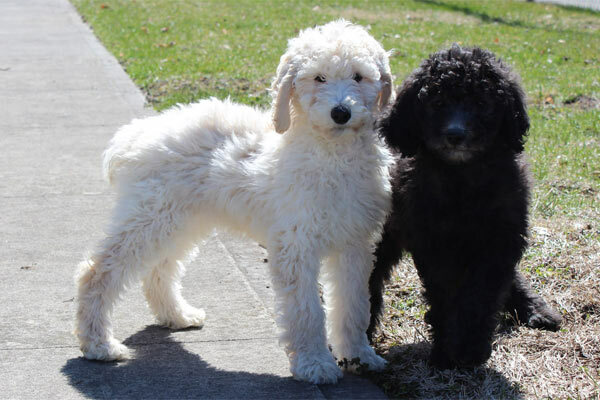 Regardless of the quality of breeding, a pup has little chance of becoming a guide dog unless it is raised in a home and accustomed to playing with children, meeting strangers, and go through an obedience course. Pilot Dogs, Inc. was established in 1950 to train and furnish Pilot Dogs to guide the blind. Since its first class of four students, the program has grown to serve more than 150 individuals each year. We provide the finest dog guides to the qualified sightless. Pilot Dogs are trained to offer greater mobility and independence. 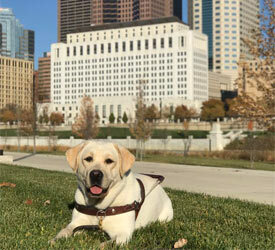 To be eligible to receive a Pilot Dog an individual must be legally blind and physically and mentally capable of handling and caring for a dog guide. Individuals of all races and creeds are welcome. Ore selection committee reviews all completed applications. A sightless person who is physically and mentally capable of receiving benefit from the Pilot Dog may apply. Students of all races and creeds are served after being approved by the school’s Student Selection Committee. 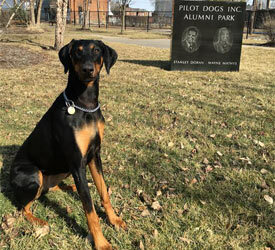 There are several ways to help Pilot Dogs, Inc. Individuals and companies can become members of the organization by making a monetary donation. 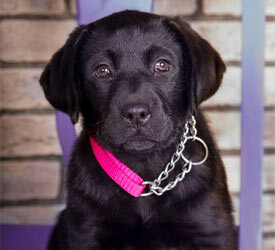 Pilot Dogs is always looking for Puppy Raisers. These individuals volunteer to foster our dogs for their first year of life before they begin their formal guide training. 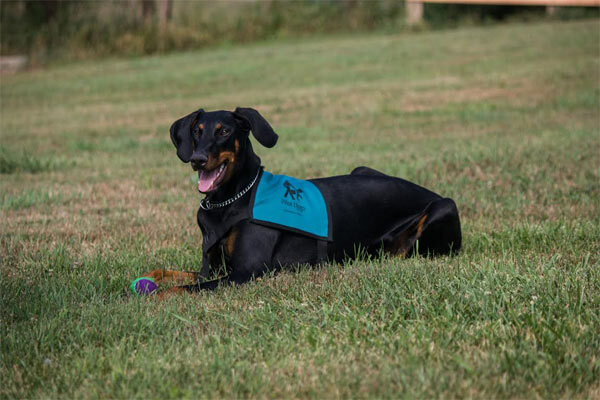 The purpose of this program is to get the dogs well socialized, which gives them a higher potential to become Pilot Dogs.